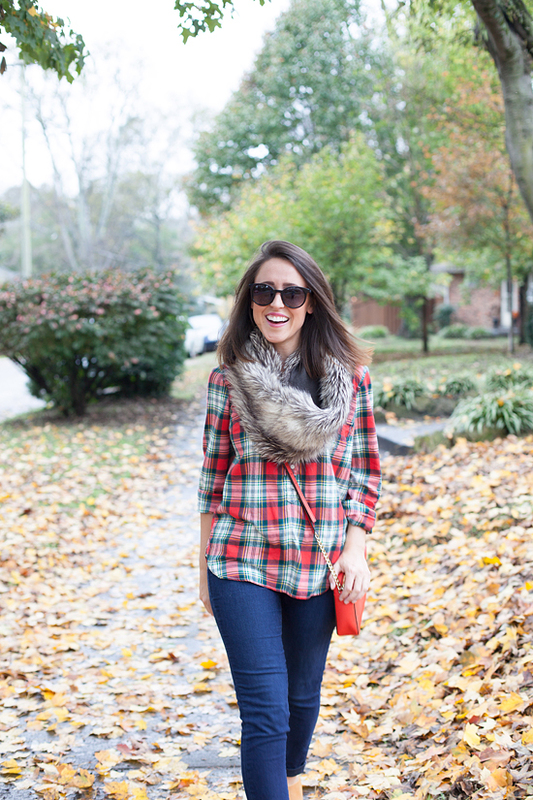 I'm back talking about some favorite Fall staples. 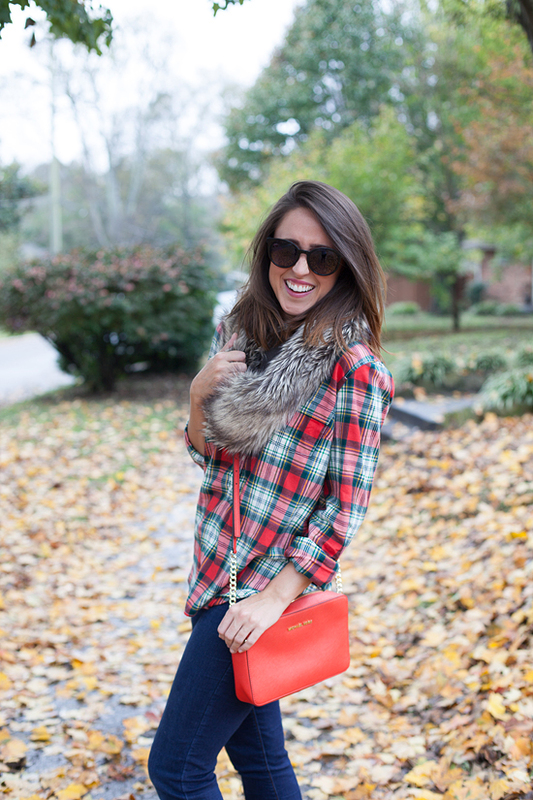 I already wore this plaid top in an outfit fit for a Christmas photo (see the full outfit here), but I'm really putting it in heavy rotation in my day to day styles! Love this plaid pattern? It's available in a skirt too! 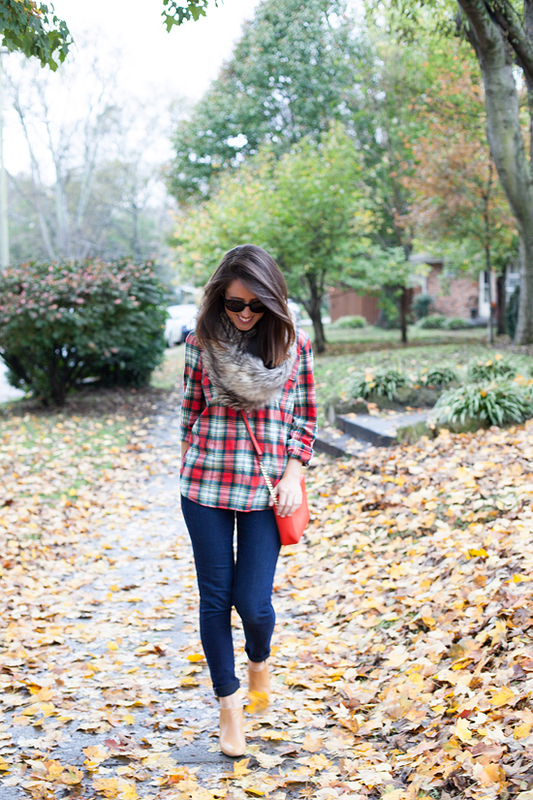 Skinny jeans are perfect for Fall because they work with ankle booties or tall boot styles. I love the stretch in these James Jeans, but if you are looking for a more affordable style, I just tried on these high rise jeans from J.Crew Factory & think they are perfection! One of my Fall guilty pleasures? Faux fur! I got the faux fur scarf in these photos from Zappos last year & found this similar style at Nordstrom & even this affordable option at Target has colors that will go with everything! Topping my faux fur wish list is this dreamy stole, but I also think that this furry pom pom is so fun (I'm imagining it on my Fall purses!) 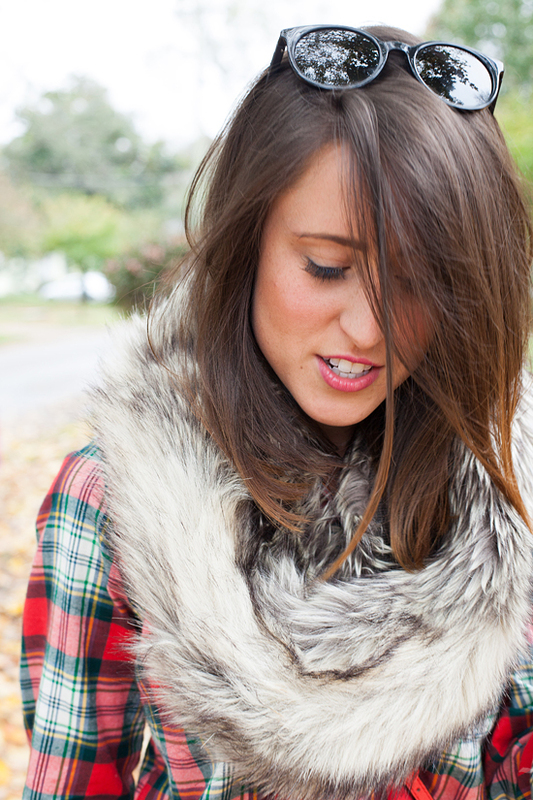 & you can't go wrong with this classic fur vest. It hasn't gotten cold enough to pull out my faux fur leopard jacket yet (see my outfits featuring it here) - but if you are looking for one to call your own, this style is right on the money! What are your Fall staples? Any secrets to finding affordable styles this time of year?